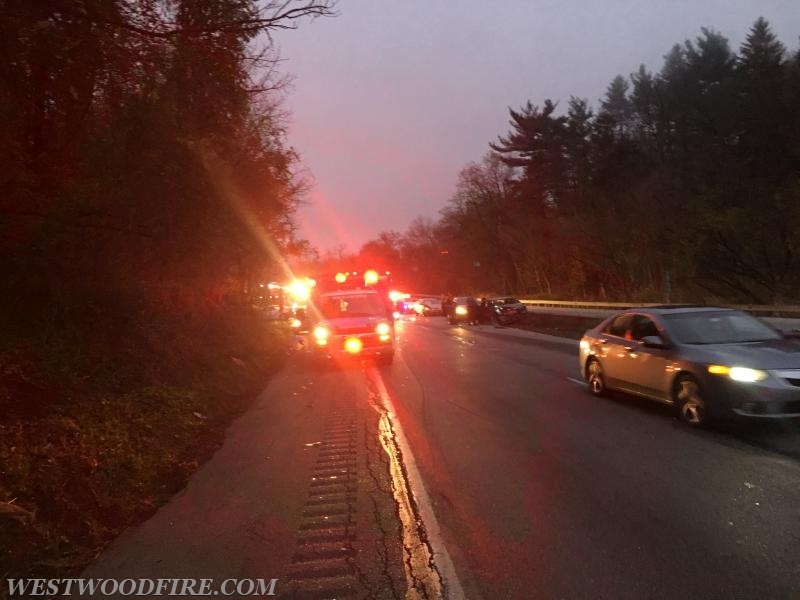 As traffic was hitting its peak on the Route 30 Bypass, Westwood Fire and EMS were alerted to the 272.6 eastbound mile marker for an auto accident involving multiple vehicles. Rescue 44, Engine 44-5, Ambulance 44-1 and Deputy 44 all hit the streets within minutes to answer the call. 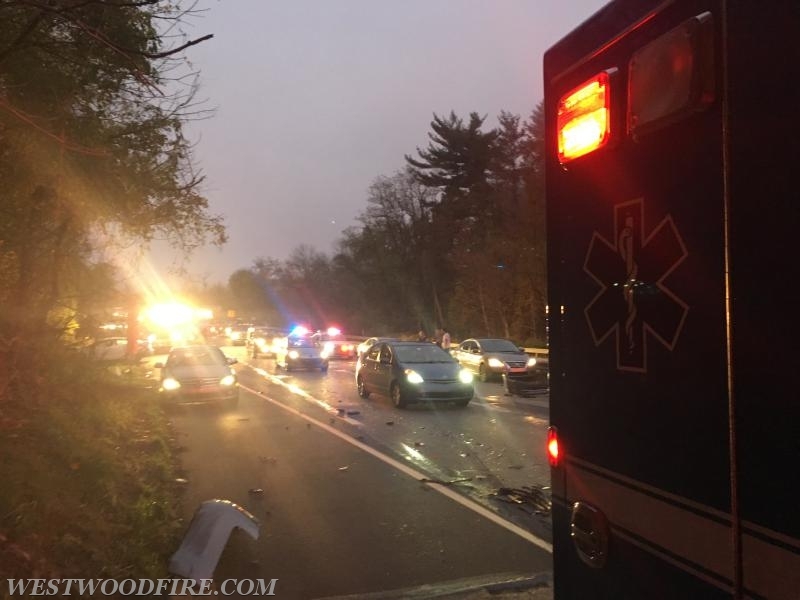 Arriving at 0709 Ambulance 44-1 reported the accident just east of Route 82 and confirmed a total of 5 vehicles involved. Rescue and Deputy 44 arrived and assumed Bypass Command requesting a fire police task force. This summoned fire police from area fire companies to assist with shutting down the Route 30 Bypass. 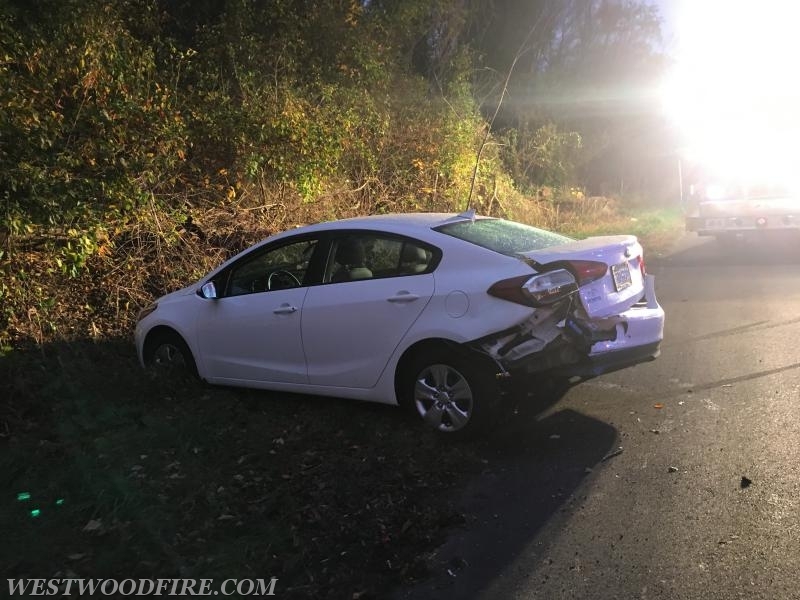 Engine 44-5 arrived next due and blocked oncoming traffic to protect responders. Rescue 44 lit the area and cleaned a lot of debris and fluids from the road utilizing the leaf blower and stay dry. Ambulance 44-1 received refusals for transport from all parties involved. 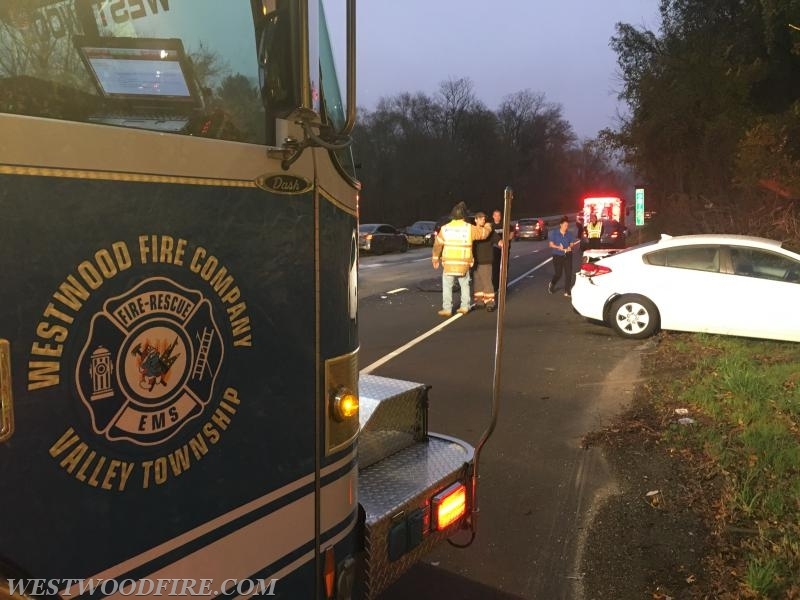 Multiple tow trucks were called into the scene to remove all of the vehicles from the road. Upon clearing this incident the company responded to the 200 block of Gilmore Road for a medical local where a patient required lifting assistance. Ambulance 44-1 on scene and rendering aid. 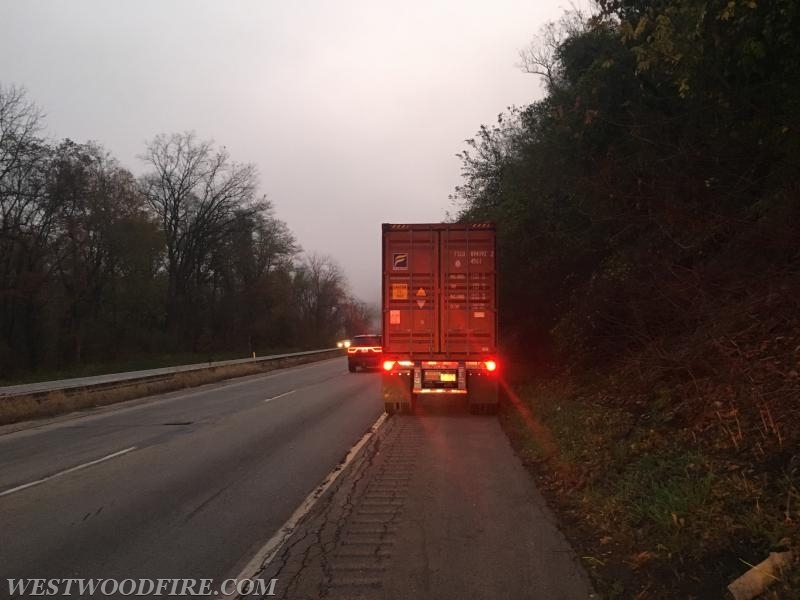 One of the vehicles involved was a tractor trailer. Debris was all over the road and traffic was backed up for miles. Another car that was involved ended up facing westbound in the eastbound lane. One of the five vehicles involved. 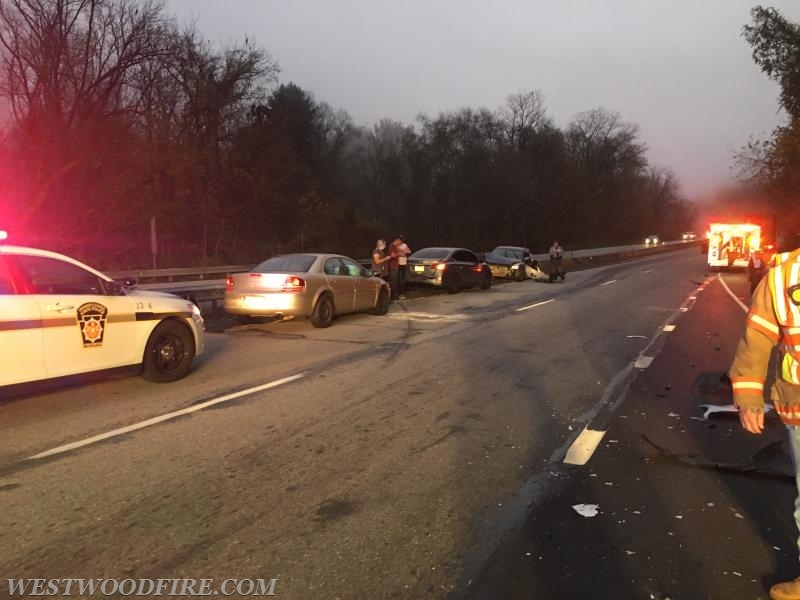 Pennsylvania State Police on scene. 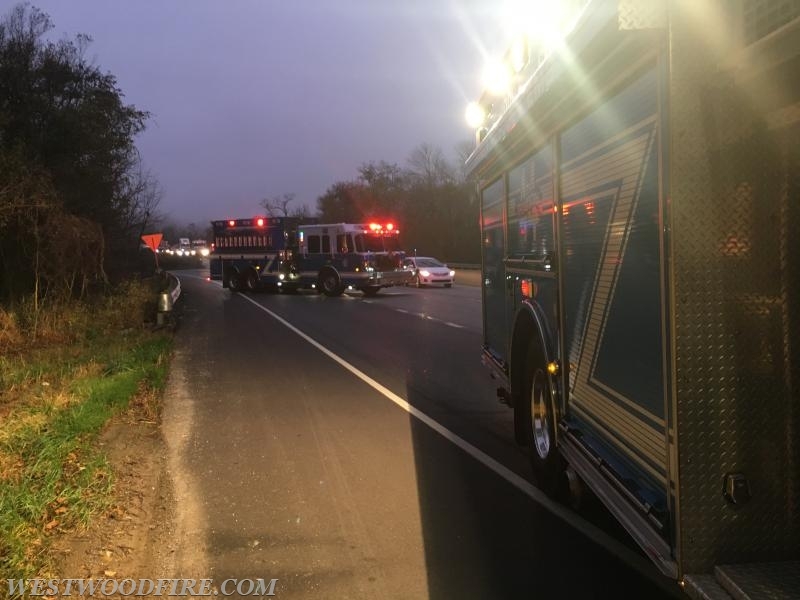 Engine 44-5 blocks the roadway protecting responders from oncoming traffic. 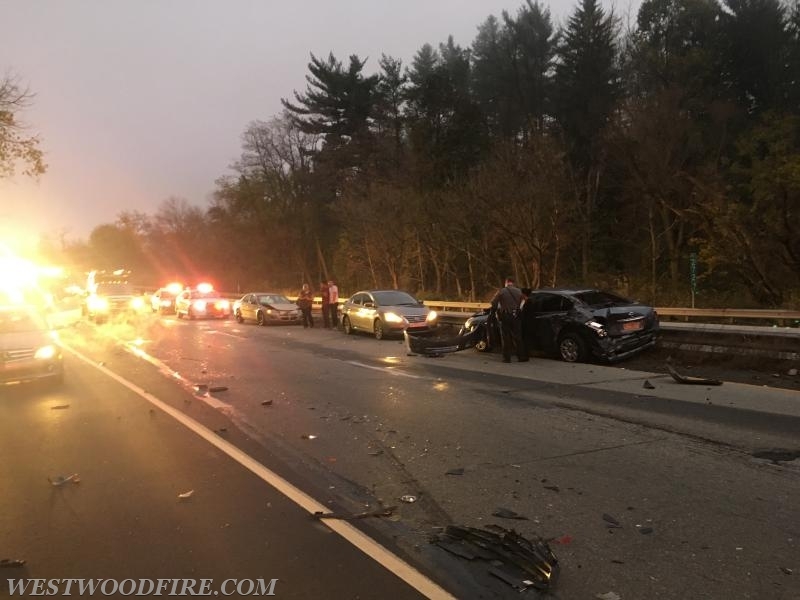 Rescue 44 on scene of a 5 vehicle accident on the Route 30 Bypass just east of Route 82.